Definitions for the purpose of the Mission Carpet Area: Area enclosed within the walls, actual area to lay the carpet. This area does not include the thickness of the inner walls. Carpet Area: The net usable floor area of an apartment, excluding the area covered by the external walls, areas under services shafts, exclusive balcony or verandah area and exclusive open terrace area, but includes the area covered by the internal partition walls of the apartment. Explanation.- For the purpose of this definition, the expression "exclusive balcony or verandah area" means the area of the balcony or verandah, as the case may be, which is appurtenant to the net usable floor area of an apartment, meant for the exclusive use of the allottee; and "exclusive open terrace area" means the area of open terrace which is appurtenant to the net usable floor area of an apartment, meant for the exclusive use of the allottee. 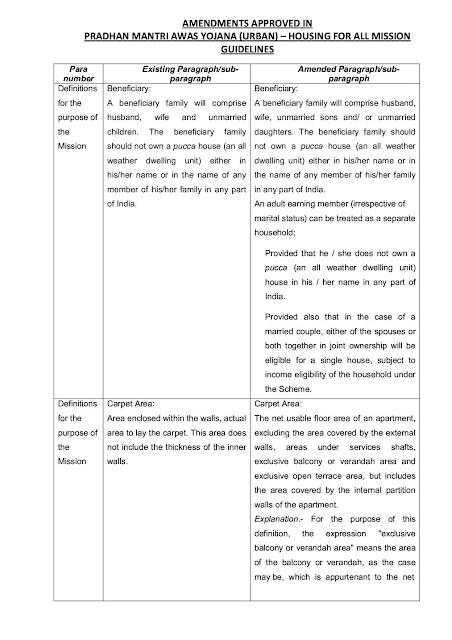 1.3 A beneficiary family will comprise husband, wife, unmarried sons and/or unmarried daughters. 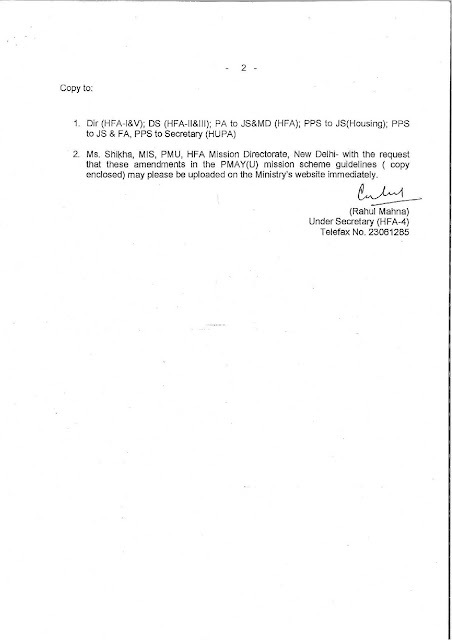 The beneficiary family should not own a pucca house either in his/her name or in the name of any member of his/her family in any part of India to be eligible to receive central assistance under the mission. A beneficiary family will comprise husband, wife, unmarried sons and/ or unmarried daughters. 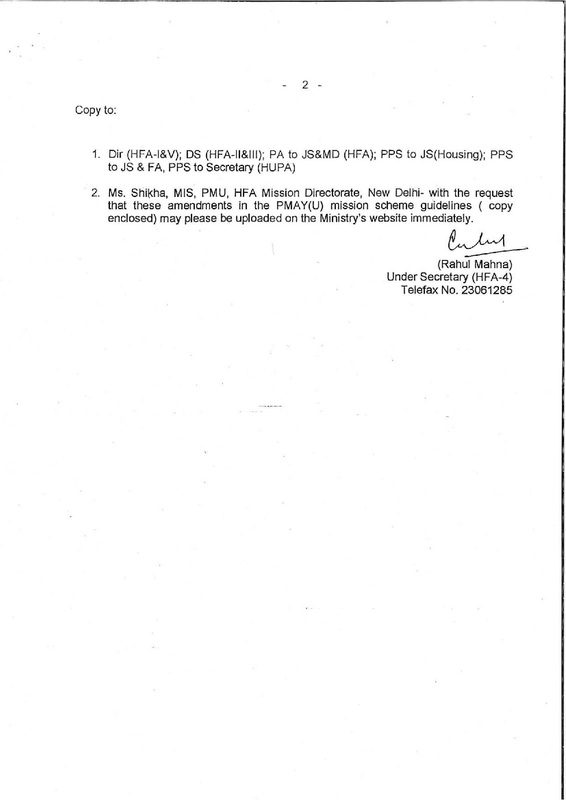 The beneficiary family should not own a pucca house (an all weather dwelling unit) either in his/her name or in the name of any member of his/her family in any part of India. An adult earning member (irrespective of marital status) can be treated as a separate household; Provided that he / she does not own a pucca (an all weather dwelling unit) house in his / her name in any part of India. Provided also that in the case of a married couple, either of the spouses or both together in joint ownership will be eligible for a single house, subject to income eligibility of the household under the Scheme. 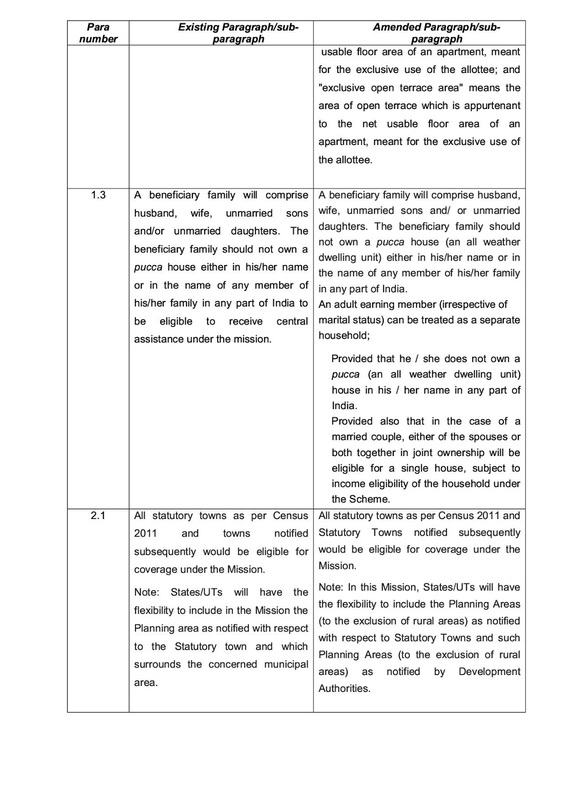 2.1 All statutory towns as per Census 2011 and towns notified subsequently would be eligible for coverage under the Mission. Note: States/UTs will have the flexibility to include in the Mission the Planning area as notified with respect to the Statutory town and which surrounds the concerned municipal area. All statutory towns as per Census 2011 and Statutory Towns notified subsequently would be eligible for coverage under the Mission. 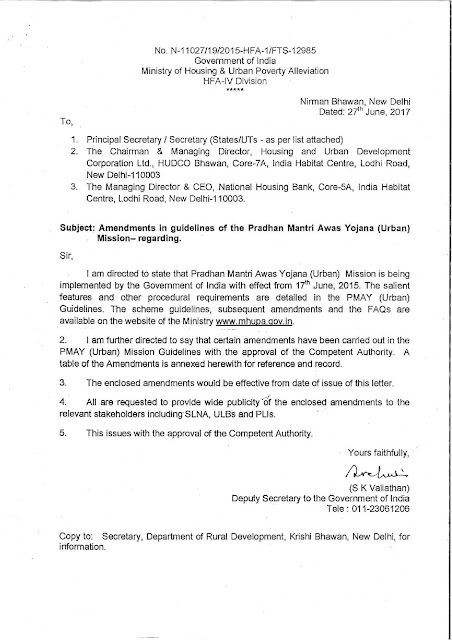 Note: In this Mission, States/UTs will have the flexibility to include the Planning Areas (to the exclusion of rural areas) as notified with respect to Statutory Towns and such Planning Areas (to the exclusion of rural areas) as notified by Development Authorities.